It helps if you take stock when money issues crop up. Budgeting tips can help you step back and evaluate where you stand. 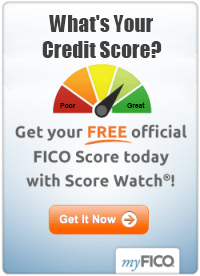 This activity is particularly important if you have credit card debt. Knowledge is power. Once you understand where you spend your money, you will be able to control your finances, stop accumulating debt, and get back on your feet. When you use the following budgeting tips during financial challenges, you will feel more in control because you have a plan. A budget is simply a realistic idea of the money that comes into your household and how much goes out. There are many computer programs and applications available for budgeting tips and money management. Or, you may want to use the old-fashioned method, which simply requires paper, a writing utensil, calculator, and a small notebook for every person who has access to money. Be sure to count wages from your job, alimony, pensions, unemployment, Social Security, assistance checks, money from your mom - everything. Look back over your accounts to be sure you do not miss important resources. Include income from everyone in the family, including teenagers. Add up these numbers. This should include items such as the mortgage or rent, car payments, the telephone bill, electric bill, gas, and other items that you pay each month. Some of these might vary a little, but you should have a good idea of what you spend on each item during a month's time. If you do not have a good idea about the amounts you spend on a particular item, place it in the variable category below. Add up these numbers. Include entertainment (such as the cost of going to the movies or dining out), clothing, buying that latte at Starbucks, auto repairs, and other items. List even small purchases. Add up these numbers. Add up the numbers in the fixed expenses and the variable expenses for a final total of what you spent in the last month. Ideally, the total income will be greater than the combined total of fixed and variable expenses. 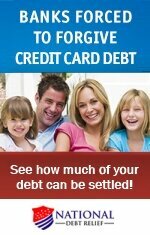 If so, then you are on track and should be able to pay down any credit card debt and/or save money. If not, you need to make changes. The variable expenses are monies that you have the most control over. If you stop buying $6.00 coffee drinks every morning, for example, you could save $30 or more a week, or $120 a month. That could pay off a debt. When you first do this exercise, you likely will forget small purchases, particularly if you use cash. This is where the small notebooks come in handy. It's easy to forget that insignificant purchases add up unless you see it on paper. For at least three days – preferably a week – have everyone who spends money in your household, including children, carry a notebook and write down every purchase, no matter how small. After three or four days, each person will have a clear picture of where he or she spends money and where savings can start. At this point, a conversation with each family member about the best way to spend money may be useful. Review the notebooks and point out unnecessary purchases. Explain why it is important to refrain from spending money on such items. Be kind and offer suggestions for better purchases, as part of sharing important budgeting tips. Perhaps instead of buying single-serve sodas for $1.29 each, for example, the family could purchase a six-pack of beverages for $3.99 (a savings of $30.75). Everyone would agree to drink from those instead of buying a single cola at the store. Do not make spur-of-the-moment purchases. These two simple activities alone could save your family hundreds of dollars each month. The money not spent on unnecessary items may be applied to debt or saved, depending upon your goals. If necessary, repeat these budgeting tips every few weeks until you and your family understand how better to manage your finances.